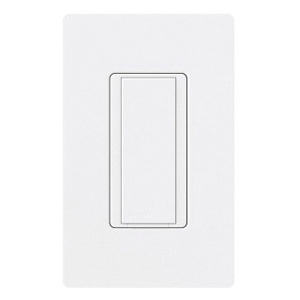 Lutron Maestro® Companion switch in white color, features high gloss plastic construction for long-life durability. It operates at a voltage rating of 120-Volts and is suitable for multi-location use. The companion switch meets UL, cUL and CSA standards.